← Arsenal-Manchester City: Match Preview, Predicted Line Up. The Harder They Come, the Harder They Fall. Arsenal-West Ham: Match Preview, Predicted Line-up. Mid-week Derby Tests Two Teams in Trouble. Managers Slaven Bilic and Arsene Wenger bring their teams–with confidence teetering–to the Emirates for a Wednesday night clash in a season they both would probably wish to forget. Do these clubs need new men at the helm? Maybe. Maybe Not. For Arsenal, it’s a question that hovers over everything at the club. Once the ball is kicked off, however, it must be put to one side. Three points are on the line and both teams want them. Is there anything worse than being a Gooner these days? Maybe not, but imagine life as a supporter of some of the other London clubs? Sure, Chelsea look good for the league title in this, their “bounce-back” season, but their goods are at least somewhat ill-gotten as they come due to the largess of a Russian gas magnate. Spurs look promising too and this could be the year they finally finish ahead of Arsenal. Of course, they should be looking forward and trying to catch the chavs, but too many late-season collapses haunt their memories. We might be looking at both with envy at the moment, but would we really choose to switch places with their supporters, even if we could? Then there’s West Ham United, the darlings of the East End. Plenty of talent comes through that part of the city offering heady promise, but, inevitably, it goes, and the Hammers find their true level. Are they a mid-table club or one that gets beat up all too regularly and might be happier in the Championship? They’re probably too good for the drop this season–a worry likely fueled by growing pains as they look to make the Olympic stadium their own–but, sitting just 6 points ahead of the relegation places and having lost their last four matches, they cannot feel completely safe just yet. Arsenal, of course, aren’t in substantially better form and the atmosphere surrounding Wenger’s future makes home matches as difficult as trips away. The draw on Sunday vs Manchester City was better than losing, but the single point taken wasn’t enough to inspire confidence that a Top 4 finish will come our way. Although Wenger has delivered at least that level of accomplishment for 20 years, it’s not enough for many Gooners and some would be fine to see it fall by the wayside if it meant a change at the helm. Fun times. But why play a match if not to try and win it? Wenger and his players know this and will also know that the table can change quickly if the collective confidence can be turned around and positive results taken. The question is: how best to make it actually happen against the Hammers. On short rest, just two days off compared to West Ham’s three, Wenger might be tempted to rotate a bit and make a few changes to try and cut out West Ham’s main avenue of attack, their big man up front, Andy Carroll. He scored a consolation goal when we played them in the new stadium back in December and also scored a hat-trick in our final journey out to Upton Park the season before. The Hammers no longer have the dead-ball deliveries of Dimitri Payet, but playing for set-pieces and corners which they can send in toward Carroll will have to be high on the priority list for Bilic. Hitting on the counter will also be a primary tactic and the return of pacy and powerful Michail Antonio to the line-up should help. In Payet’s absence, much of the attack runs through Mario Lanzini, but Andre Ayew is another attacker we cannot afford to forget. 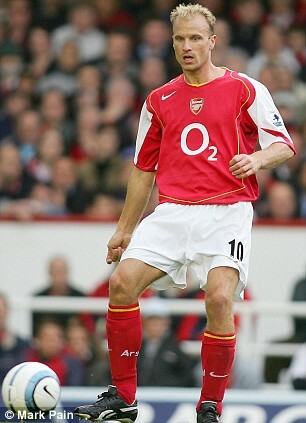 (They don’t quite have their hands on Jack Wilshere yet, even if a 30 million pound offer is said to be on the table.) At the back, however, WHU have some issues. Winston Reid, Angelo Ogbanna and Aaron Cresswell are all out injured, another reason the Hammers will likely look to consolidate in that part of the pitch and try to hurt us when we lose the ball, perhaps even inviting us into their half when we’ve got it. Personally, I’d prefer to see Elneny get a run out in central midfield, though many might like to see Oxlade-Chamberlain in one of those spots. Both the Ox and Aaron Ramsey were left out of the squad for the Man City match, but Wenger has hinted that both of them could be available for this one. It’s possible that either (or both) could go straight back into the first 11 if they were simply being rested with an eye to the quick turnaround between fixtures. Who would give way if Wenger tried such a plan? Both Coquelin and Xhaka picked up early yellow cards in the City match and there was widely divergent opinion on how they played under those circumstances. Who knows? Certainly not me. I’m just guessing and, as always, I’m curious what others think. Who will Wenger play and who would you choose if you were in the manager’s shoes? Those shoes of his are perched on the thinnest of ice, so, regardless of who takes the pitch for the Gunners, this one is a must win. Shaky as our confidence might be, we need to take another step toward restoring it ahead of a pair of Monday night matches at Crystal Palace and Middlesbrough, that, on paper at least, appear winnable. This one looks that way too, but matches aren’t played on paper. They are played on pitches and in stadia. In fact, a good measure of just such a fallacy might be this fixture last season, which happened to fall on the opening day. Did we believe we only had to show up to take the full points that day? Perhaps. Martin Atkinson was the referee for that one and he gets another go Wednesday night. That match ended in a 2-nil West Ham victory (by way, interestingly enough, of a set piece goal and when the Hammers pounced on a defensive error). Our present form should prevent such overconfidence. We should also know that West Ham, equally desperate for a result, will not roll over for us, so we must make our own fate. 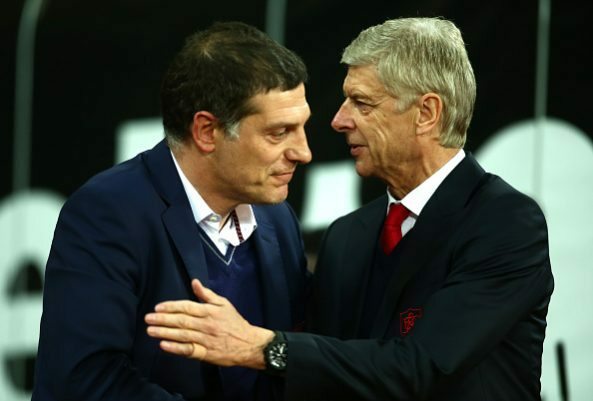 28 Responses to Arsenal-West Ham: Match Preview, Predicted Line-up. Mid-week Derby Tests Two Teams in Trouble. As always well written 17ht/ i don’t think you are too far out with your team selection. As you say the jury is very divided on Coquelin and Xhaka. Apparently they only won 2 tackles between them on Sunday and both were booked. Personally I think Coquelin is way off form and would put either The Ox or Rambo to provide more attacking punch, assuming they are fit.. If it were a more difficult game (they all are at the moment I would look to Elneny. I agree with you regarding Giroud. However from memory he gets a lot of goals with low balls into the front post. Recently this hasn’t happened a lot and we seem to be playing the pump it upfield and hope Giroud gets a knock down on it? if Giroud is going to play, lets play to his strengths. 17 HT apologies for going off topic (very temporarily)but sometime (no hurry) could you provide us with a little local (USA) perspective on Kroenkes US teams? are they all perceived to be under performing? does he seem to care about the teams an their supporters? just interested to know. Am I wrong, but I sensed some barbs aimed at Gazides? M K Dons. You probably know Milton Keynes is a new town North of London famous for its many roundabouts and concrete cows. The Wimbledon supporters formed a new Wimbledon and worked there way back up to the league. A couple of weeks back Wimbledon played the M K Dons in a league match. The Wimbledon programme just referred to them as Milton Keynes and only devoted one page in their programme to the away side ( they usually have 8). I was a little concerned to see we didn’t have a captain in the 2nd half. I think I saw Gabriel with an armband. Then they became a franchise, before that was even dreamed up in the US of A. Hope we’ve turned the confidence corner. I believe we have and today I expect a game without the handbrake on. A pity we still don’t know our 1st eleven. We know possibly our 1st seven or eight. So plenty of head scratching for our line up each time. Xhaka, who defensively is on the slow side can only be the deepest CM when we play 3 man CM. I expect a 4:2:3:1 today with Elneny as the deepest. Aghhhh another post just disappeared into the Blogosphere. Kev. The Plumstead thing was a little before my time and even though I am a Sarff East London boy, the thought of Arsenal in Plumstead horrified me. You are of course totally correct though. 1. Alexis and Gibbs staying wide and forward along side Giroud in the CF role and trying to deliver accurate early crosses for Giroud to attack. 2. The back seven (i.e. the back four and 3 CDMs) focusing on maintaining their defensive structure and shape, staying compact, tackling and intercepting with Elneny and Xhaka being the transitional outlets, by executing long range passes into the channels for Alexis and Gibbs respectively. 3. If and when Arsenal are able to monopolise possession in the opposition’s half I’d like the see purposeful build up play with the primary aim of creating opportunities for Monreal and Gibbs on the left and Sanchez and Debuchy on the right to deliver accurate crosses for Giroud to attack. Failing that I’d like to see Arsenal focus on creating long range shooting opportunities for Xhaka and Elneny. As I mentioned in my pre Man City comment, i think the main thing Arsenal need to avoid in order to reinvigorate their attack is when the team is able to monopolise possession on the opponent’s half, they don’t get caught in the loop of continually recycling possession looking for a through pass to directly create a goal scoring opportunity. A high possession attacking approach typically results in the opposition crowding the penalty box (“parking the bus”) which effectively renders the use of through passes to be an extremely difficult means of creating clear cut goal scoring opportunities. Arsenal’s failure to accept that reality has caused serious problems with the side’s attacking effectiveness for months (and to be honest years). For me it’s one of the key reasons the number of goals scored by Arsenal have dried up from earlier in the season. I’m hoping for a more realistic attacking approach from the Gunners versus West Ham. Waldo, I never get tired of reading your pre-game suggested line-ups; always revolutionary, even if unlikely. You have persisted with Debuchy every time and I daresay, its about time Wenger gave him another chance as it also serves to give Bellerin a rest and a test. The man is starting to look unconvincing of late. As for the game tonight, I do expect us to conduct our game plan in a way as to reduce the influence of Carrol, which is why I will play both of Gabriel and Mustafi again. In midfield, I guess Elneny can come in for Coq while Xhaka should continue as CDM; the concern is with keeping track of Lanzini who is a live wire of a player. We cannot afford to be outmuscled in midfield one more time and this area will be key. Wenger may be forced to play Ramsey instead of Elneny too, thus keeping Xhaka as deepest lying midfielder and give us some offensive impetus. Whatever the case, the team has to stay focused and learn to enjoy playing again. It also leads me to believe you are 1 Arsene Wenger, 2 have clairvoyant powers, 3. Have friends in three legal world or 4. Are extremely lucky, might I suggest buying a lottery ticket. West Ham United: Randolph, Byram, Fonte, Collins, Masuaku, Noble, Kouyate, Ayew, Lanzini, Antonio, Carroll Subs: Nordtveit, Feghouli, Snodgrass, Adrian, Sakho, Calleri, Fernandes. Lanzini, Ayew, Carrol and Antonio will be the ones to keep quiet on their side. Wenger persisting with Welbeck again suggests he feels his fitness level is good enough for 2 games in 3 days. COYG!! Very quiet on here tonight. Spurs and Liverpool both losing. If it carries on like this and we get our game together could be a great night. Not sure how we are allowing this to be an evenly matched affair. Welbeck’ slack of composure has cost us from Sanchez’s lofted free kick. He has no excuse not to bury that. And how wasn’t that a penalty on Theo by Masuaku? Atkinson just has a knack for being obnoxious in games involving us. We only wake up when we go one down. The boys need to take the game to them and gamble instead of hesitating to take responsibility. Good results for us in every game bar the one in which we are involved. A goal before the break in the visitors’ net would do wonders for us. And it’s only the 1st half. By the 2nd, just look out for him giving a penalty against us. I think Ozil just has to grow some fast to be able to cope in this league. He ducks out of 50-50s in the most obvious way ever. We do need a goal for the confidence and I am sure this can be a cruise afterwards, but we have to look interested or Westham will smell our lack of confidence and take the initiative. We can’t afford to expose Martinez so happy with the central defending, so far. It is our right back area that gives me concern. Hope to see any two of Ox, Giroud and Ramsey coming on for Theo and Elneny. We need to give them something to worry about. Then Iwobi, late on for Welbeck. Speaking of balls… Hazard has shown tonight why he is by far the best player in the league. He’s been winning the league for Chelsea for the second time in three years. Big goal from Mesut! Maybe there is still a chance for 4th place. Big goal for Giroud as well. The substitutions are also very useful in that it helps key teammates develop confidence as well. You cannot underestimate the impact this result will have on the whole club dynamic. Yes, I agree. This result and, more importantly, performance should buy some breathing space to everyone around Arsenal. Randolph is just bad, Emi is good and the real Ozil is back. The Man c game was like a blood transfusion to the team. They are revived, full of life and having fun once again. TA, I sent a post to your box. Thanks for fine match preview, Seventeenho. Some excellent analytical comments as well.